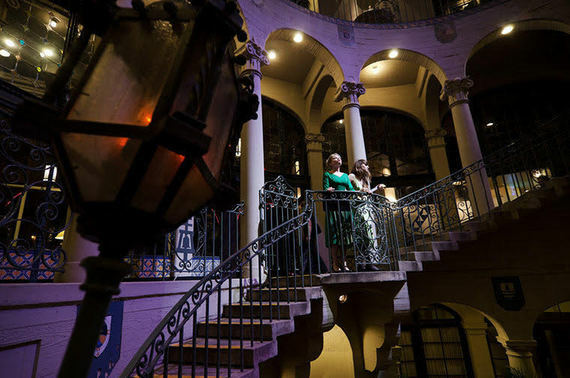 7 Top Vaudeville Entertainment Experiences you must not miss while in Los Angeles! Los Angeles, the home of Hollywood and the birthplace of the American movie scene, which for decades has drawn in aspiring actors, artists and musicians from all over the world, lured by the promise of fame and fortune. Nowadays, although the glittering lights of 'old Hollywood' have faded into a tourist attraction commemorating the glory days, the City of Angels remains a centre of theatre, art, culture and creativity for the entire country. Of course there are still plenty of big theatre shows, live TV shows and other entertainment in Los Angeles, but the real fun starts when you look beyond that, into the back street theatres and converted warehouses where the grassroots performers hone their skills in front of smaller audiences and a community of live artists, dancers, comedians and musicians draw inspiration from the early days of American performance art - a period known as Vaudeville. Evolved from the early variety shows of the mid-1800's, Vaudeville lifted traditional variety entertainment up out of the men-only bars and concert saloons, into a much more developed, mature and inclusive form, with mixed gender audiences and larger theatres, attracting attention and admiration from the middle classes. Now Vaudeville is enjoying a resurgence of popularity within the new wave of performance art in fringe theatres and converted warehouses all of the city, with a whole new generation of millennials finding exciting and imaginative ways to amaze the crowds with unique combinations of comedy, dance, circus tricks, slapstick, knife-throwing, live music, burlesque, acrobatics and anything else that only they could think of! The only thing is, if you don't know anyone in Los Angeles to tell you about it and where to find it, then you could quite easily miss it altogether and breeze through LA seeing the usual mescla of Hollywood and Sunset Boulevards, the Hollywood sign, followed by a few laps around Rodeo Drive. 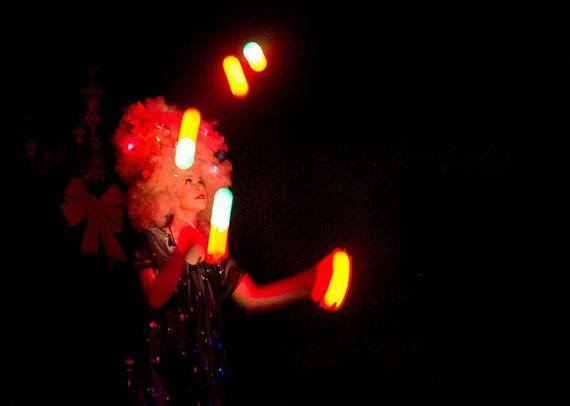 That's why we spoke to some people in the know to create this list of amazing Vaudeville entertainment in Los Angeles! It been said that "one look is worth a thousand words", in which case this classic pairing of live vaudeville and silent cinema is a novel unto itself. Exploring the depths of wordless communication, this pop-up is curated by Lindsay Benner, one of LA's foremost variety performers, with each program designed with a different location in mind. One Look truly is worth a thousand words in this evening of Variety entertainment worthy of Hollywood Cinema's roots. Explore the depths of communication available without words in the unique combination of live silent variety performance with silent film. To find out the venue and details for the next "One Look" you must register for invites online. Scot Nery's Boobie Trap is a true variety show, incorporating big names in cirque, variety, comedy, magic, and music. Scot Nery hosts new guest performers every Wednesday at Way 2 Much Entertainment in Echo Park, Los Angeles. Every act has four minutes to do something wildly weird and entertaining. Audiences may see a great comedian, a stunning trapeze act, a serious singer, a comedy sketch, and then a woman making a dress using a piece of fabric and a stapler. The performers are some of the best in their fields and Scot Nery's Boobie Trap gives them an opportunity to scour the darkest, weirdest corners of their minds. There are an average of 16 acts per show that are fast-paced, fun, interactive, and imaginative. Tomorrow! 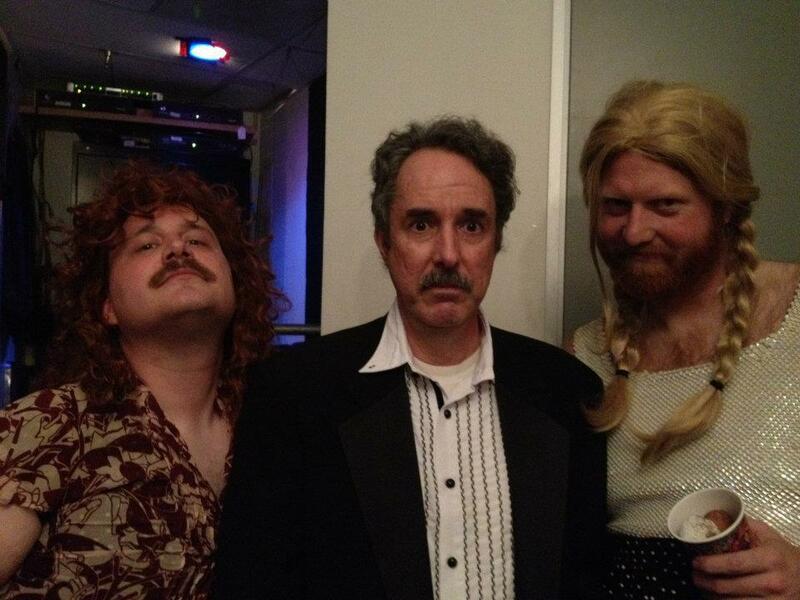 with Ron Lynch is LA's longest-running standup comedy and variety performance show, now in its eighth year! Every Saturday at midnight in the Steve Allen Theater, it has been named one of the best comedy shows in Los Angeles by LA Weekly. A variety show in the truest sense, bringing together all genres of performance, from magic and music, to standup and spoof dating shows. All the ever-changing talent is strung together with the comedy genius of Ron Lynch himself! A fun and free place to dwell in a front yard of vaudeville magic. 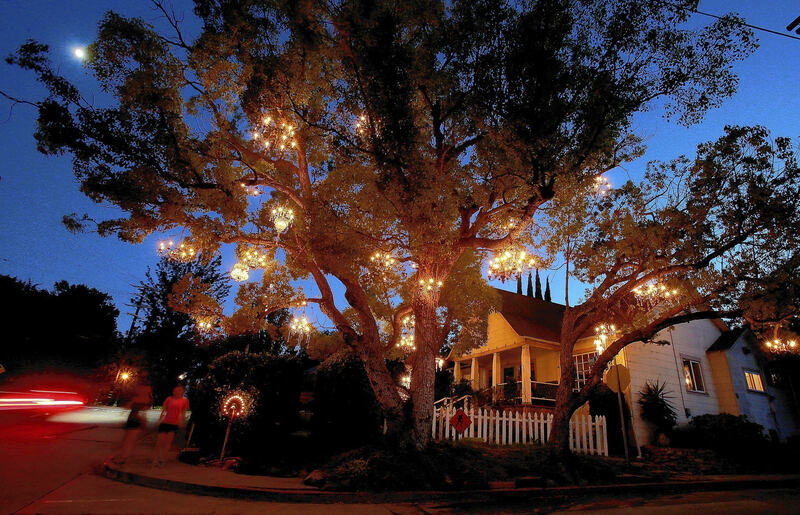 Visit this silver lake landmark at night and be transported into wherever the magic place in your mind takes you. This old Sycamore tree on West Silver Lake Drive has 30 vintage chandeliers dangling from its branches. The owner, Adam Tenenbaum, rescued the light fittings from a film set he was working on and decided to spice up the tree outside his 1920's home. Public reaction to the tree has been incredible from locals and visitors alike, even attracting wedding proposals and photo shoots. You could think of the Chandelier Tree as a static installation which embodies style and ethos of the Vaudeville era. 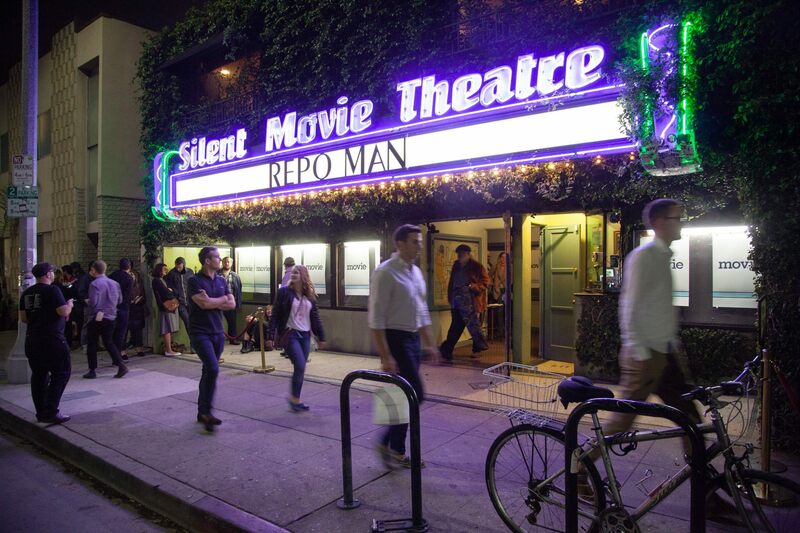 Cinefamily's counter-programming combines bold curation with unique presentations that make events there frankly un-missable. The non-profit cinematheque took over the Silent Movie Theatre in the Fairfax District (installing four rows of couches in the process) and its mission statement aims to foster "a spirit of community and a sense of discovery"; the former by means of an intimate patio upon which you can mingle whilst sipping a cocktail, and the latter by combining one-off screenings with long-form Q+As between legendary filmmakers, live bands, variety pre-shows, comedians interrupting films and epic mix tapes. Every night of the week is something different, a veritable treasure trove for the avid cineaste, even without mentioning the secret off-calendar screenings for its members. Dinner and a show, and a party, and live music, and cupcakes and comedy and champagne punch and a two-night sleep-over and magic and mysterious underground tunnels and more shows and more food and more drinks and still more shows and Sunday brunch and gifts and autographs and new friends and once-in-a-lifetime memories... and so much more!